Today I participated in the Beads Of Courage fundraiser. This is a charity for seriously ill children where beads are given to kids for different treatments they have to endure. It’s a way for the nurses to interact with the kids in a positive way. Most of the beads are bought but there are certain beads that are given out for acts of courage that are handmade by bead makers. 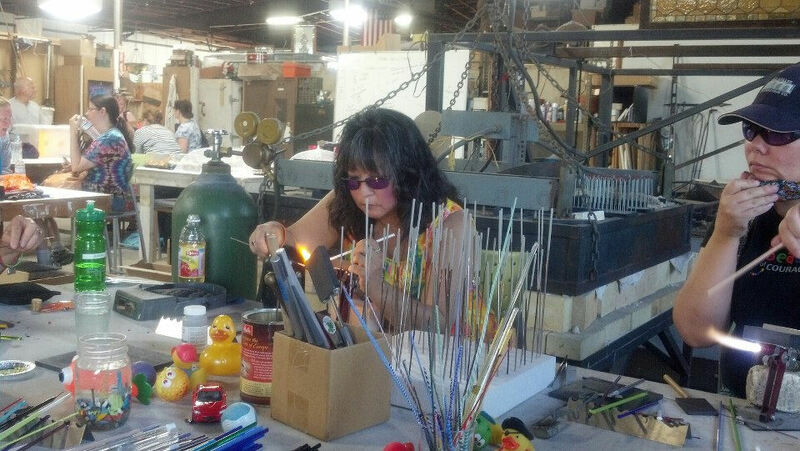 Someone took my picture at the event today so here’s a picture of me, torching. It was way too hot today so we all did our best to make as many beads as we could. We had 6 torches going for about 6 hours. We also had a raffle and other ways to donate. All in all, it was a successful event.